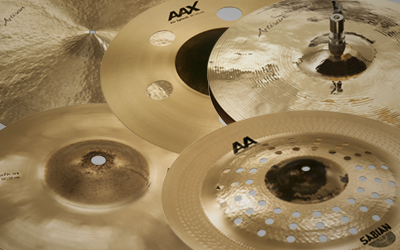 BFD Sabian Digital Vault is a diverse collection of cymbals and hihats from the Sabian archives for BFD3, BFD Eco and BFD2. It features a variety of meticulously sampled classics, prototypes and one-offs from the Sabian archives and is suitable for all styles of music. BFD Sabian Digital Vault includes HHX and AAX series favourites alongside unique stacked cymbal setups, esoteric percussion cymbals and 4 hyper-detailed hihats. Selected instruments are also presented in mallet and brush versions. Recordings were conducted by sampling guru John Emrich with an emphasis on inspiring new and exciting cymbal parts. 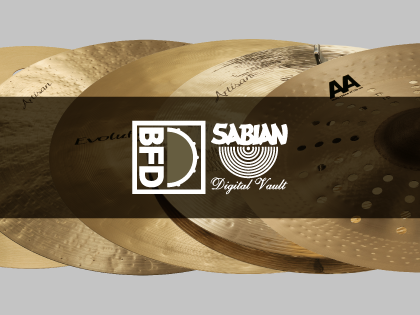 BFD Sabian Digital Vault comes complete with kit presets using factory drums in BFD3, BFD Eco and BFD2.